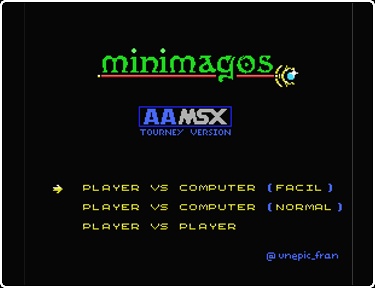 Minimagos is a free MSX ROM where two mages have to collect as many gems as possible in 3 minutes, using their spells to help picking them up, or preventing the opponent. 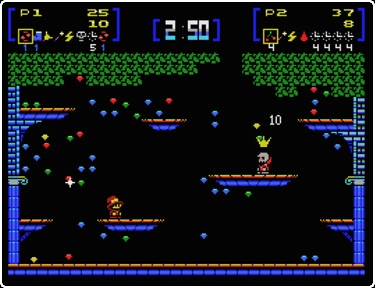 Includes a training mode, playing against the computer so you can learn how to use every spell. This game is focused on tournaments on events. The first one took place the at the 52th RUMSX in Barcelona.